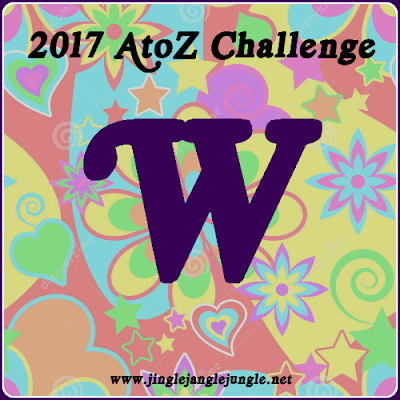 Today the #AtoZChallenge brings us to the letter W. These three songs were the top ‘W’ songs according to the Billboard Hot 100 Year-End lists. "War" is a counterculture-era soul song written by Norman Whitfield and Barrett Strong for the Motown label in 1969. Whitfield first produced the song – a blatant anti-Vietnam War protest – with The Temptations as the original vocalists. After Motown began receiving repeated requests to release "War" as a single, Whitfield re-recorded the song with Edwin Starr as the vocalist, with the label deciding to withhold the Temptations' version from single release so as not to alienate their more conservative fans. Starr's version of "War" was a number-one hit on the Billboard Hot 100 chart in 1970, and is not only the most successful and well-known record of his career, but it is also one of the most popular protest songs ever recorded. It was one of 161 songs on the Clear Channel no-play list after September 11, 2001. The song's power was reasserted when Bruce Springsteen and the E Street Band took their rendition into the U.S. Top 10 in 1986. It was also covered by Frankie Goes to Hollywood in 1984, and more recently by the Rock band Black Stone Cherry on its 2016 album Kentucky. "Without You" is a song written by Pete Ham and Tom Evans of British rock group Badfinger, and first released on their 1970 album No Dice. The song has been recorded by over 180 artists, and versions released as singles by Harry Nilsson (1971) and Mariah Carey (1994) became international best-sellers. Paul McCartney once described the ballad as "the killer song of all time". In 1972, writers Ham and Evans received the British Academy's Ivor Novello Award for Best Song Musically and Lyrically. Harry Nilsson, at the time best known for his hit "Everybody's Talkin'" and for composing such hits as Three Dog Night's "One", heard Badfinger's recording of "Without You" at a party, and mistook it for a Beatles song. After realizing it was not, he decided to cover the song for his album Nilsson Schmilsson in 1971. The song was released as a single in October 1971, and it stayed at number 1 on the U.S. pop chart for four weeks, from 13 February to 11 March 1972. The song also spent five weeks atop the U.S. adult contemporary chart. Billboard ranked it as the No. 4 song for 1972. In the UK, the song spent five weeks at number 1 on the British pop chart, beginning on 11 March, and sold almost 800,000 copies. It went to Number One in several other countries, including Australia (for 5 weeks), Ireland (3 weeks) and New Zealand (2 weeks). "The Way We Were" is a song recorded by American vocalist Barbra Streisand for her fifteenth studio album, The Way We Were. It was physically released as the record's lead single on September 27, 1973 through Columbia Records. The 7" single was distributed in two different formats, with the standard edition featuring B-side track "What Are You Doing the Rest of Your Life?" and the Mexico release including an instrumental B-side instead. The recording was written by Alan Bergman, Marilyn Bergman and Marvin Hamlisch, while production was solely handled by Marty Paich. "The Way We Were" was specifically produced for the record, in addition to three other tracks, including her then-upcoming single "All in Love Is Fair". Its lyrics detail the melancholy relationship between the two main characters in the 1973 film of the same name. Its appeal was noted by several music critics, who felt its impact helped revive Streisand's career. It also won two Academy Awards, which were credited to the songwriters of the track. The single was also a commercial success, topping the charts in both Canada and the United States, while peaking in the top 40 in Australia and the United Kingdom. Additionally, "The Way We Were" was 1974's most successful recording in the United States, where it was placed at number one on the Billboard Year-End Hot 100 singles list. It has since been certified Platinum by the RIAA for sales of over one million units. Tomorrow brings us the letter 'X'. I think it's letters like this that make up for the difficult ones where I had to pull out some rather obscure music. 'War' was an interesting story for me. I did not know it was first done by The Temptations, and for some reason, I always immediately think of Buffalo Springfield's 'For What It's Worth'. I like that album name Nilsson Schmilsson. It reminds me of the local band Wilco who put out Wilco Schmilco. Apparently that was a nod to yet another artist but I forget who. How fascinating that the song has been covered so many times. It's always sort of depressed me. ~grin~ Be well! That song has always been one of my favorites. I knew it had been covered a few times, but was floored by the high number of covers. I don't think I've ever watched a complete Barbra Streisand movie. I've enjoyed her music, but have a hard time with her acting. Thanks for stopping by! "War; what is it good for? Absolutely nuthin'". I couldn't agree more and love that song! :) This is the best version of "Without You", IMO. Harry really tugs at the heartstrings. Thanks for the back story, which was a surprise. I always thought Harry wrote it! "The Way We Were" was a beautiful movie with a sad ending and the song emphasizes that. Great memories here today! 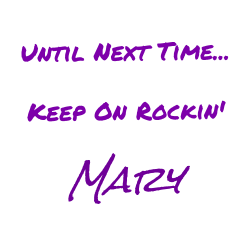 Thanks, Mary. I watched a documentary about Harry Nilsson a year or so ago. If memory serves me correct, he was going through a nasty divorce at the time that he did his cover of 'Without You'. I think that would explain a lot of the emotion that he put into the song. I'm no Streisand fan, but I do like "The Way We Were"--such a touching song. I always thought "Without You" was written by Nilsson. I still prefer the Badfinger version. They were such a great group with so many wonderful songs. Badfinger was a great group, but their story is so tragic. So many artists were taken advantage of. It's a shame because they did have some really good songs. Why do I always smack my head and say, "Why didn't I think of that?" hahaha... great job here girlfriend. Thanks for sharing. Personally I wanna see what you find for "X"! Mine is posted already. Enjoy the headache... hahahaha mine is a dull roar! Awesome W choices Mary! All three of them! I love Edwin Starr's War. One of my favorites for sure. And Harry Nilsson's Without You is so moody, I love it! The Way We Were: such an amazingly great film and an equally great song. So good! I thought these three were a pretty good representation of the decade across the board. Haven't heard War before - a catchy tune. But Without You and The Way We Were are awesome mumbers. Great trivia on the iconic song "War"! I had no clue that The Temptations were the original vocalists on this song. I can't imagine anyone doing this song other than Edwin Starr. You got me curious, I will listen to the cover artists you mentioned. Oh, "Without You" always makes me sooo sad but I love the song! "The Way We Were" is a tender song and I like it but I'm not really a Barbara Streisand. What an Xtra treat it was to sample your "X" tunes! After reading through your W's I realized I had never seen The Way We Were, so I'm currently watching it. It's a great song, though!